The Rolling Stones returned to Toronto Thursday night for their second show and 12th stop on the “50 & Counting” arena tour. 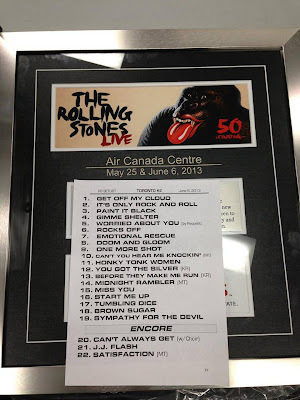 The Stones followed up their May 25th appearance at the Air Canada Centre with just the second show this spring without an outside performer, providing fans with an extra song by former bandmate and tour guest Mick Taylor. In addition to Taylor’s traditional spotlight on “Midnight Rambler” and his return for the show’s finale of “(I Can’t Get No) Satisfaction,” the guitarist performed on the 1971 classic, “Can’t You Year Me Knockin,” the third time the tune has been played this tour. The fan vote song was “Worried About You,” marking the first time it had been played since April of 2006 at the Rod Laver Arena in Melbourne, Australia. This Sunday, the Stones will hit Montreal before two dates in Boston next week.